Get ready for the most sizzling, flame-seared, smoke-scented Raichlen book yet: introducing Project Fire (Workman Publishing, 2018). Yes, the latest title in the best-selling Barbecue! Bible series will do for grilling what Project Smoke did for smoking: offer an inspiring and comprehensive crash course on the latest trends in live-fire cooking. From caveman grilling (in the embers) to high-tech spit-roasting. 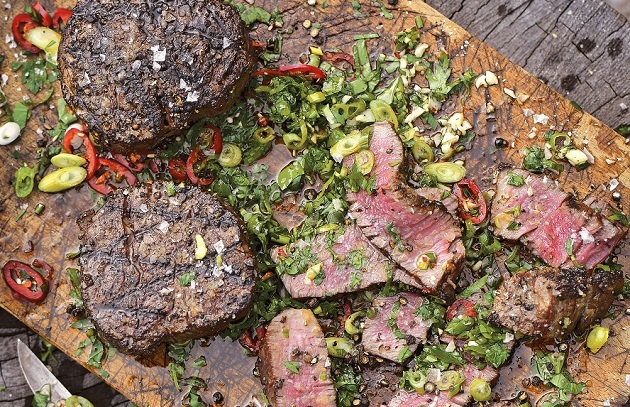 From grilling on planks, planchas, and salt slabs to grilling over a primal wood fire. Preorder your copy here in advance of its highly-anticipated May 1 release. Project Fire celebrates grilling in all its polymorphic majesty. Intriguing new flavors and techniques. Ingenious new grills, accessories. Accompanied by stunning full color food and action shots to fire your imagination and guide you to grilling success. 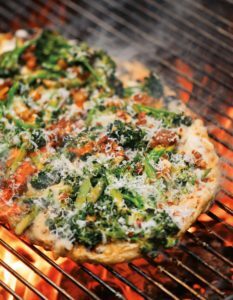 You’ll learn how to grill the perfect steak, the juiciest burgers, the crustiest pizza, the most crisp-skinned succulent rotisserie chicken. You’ll learn how to cook foods you’d never dream you could grill, from guacamole to pastrami short ribs to paella to cedar planked pears with smoked mascarpone. 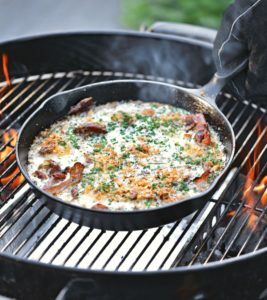 You’ll learn how to grill breads, contemporary salads (like grilled watermelon with arugula and queso fresco), vegetables (beer-brined cauliflower and Buffalo-style brussels sprouts), desserts (like spectacular salt slab-grilled chocolate brownie s’mores), and even cocktails (wait until you taste wood-grilled sangria). You’ll learn how to clean and maintain your grill, grill in winter as well as summer, and grill for one or two people or a block party. Along the way, you’ll discover time-honored and cutting edge techniques, from grilling in banana leaves to cooking an entire meal on the grill. Each chapter is packed with the informative essays, indispensible watch points, and fascinating sidebars and boxes that readers have come to expect of Steven’s books. 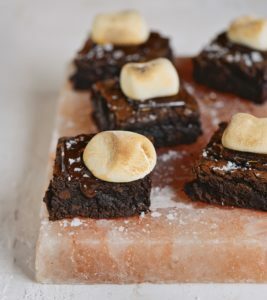 Of course, there will be recipes—at least 100—covering all the major proteins, food groups, meal courses, and special occasions, many of them dishes Steven grills not for the public, but at home. The recipes are written in the clear concise style that has earned 5 James Beard Awards and 2 slots on the New York Times bestseller list. Of course, they’ll help you build your recipe repertoire, but even more important, they’ll teach you how to think about live-fire cooking. Project Fire will make traditional grilling new, and contemporary grilling extraordinary. 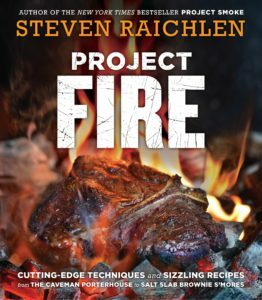 This book will combine Steven’s 20-plus years of experience writing about, traveling for, and teaching live-fire cooking with the latest research on grilling trends and science.